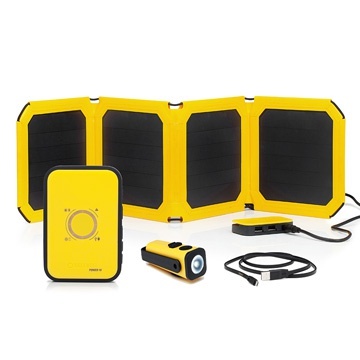 Power your outdoor adventure with the use of solar energy. Get up to €80 off by buying these kits. Did you know that with every WakaWaka product you purchase you contribute directly to our mission to bring light to the 1.2 billion people worldwide who are still living without reliable access to energy? Use solar-energy for all your adventures! This set will provide you to keep making pictures, alway have enough light and take advantage of the energy from the sun! Planning a camping outdoor trip on the off-beaten trails? We have a special set that is designed to ensure you that you always have some extra battery capacity, even on the most remote locations. 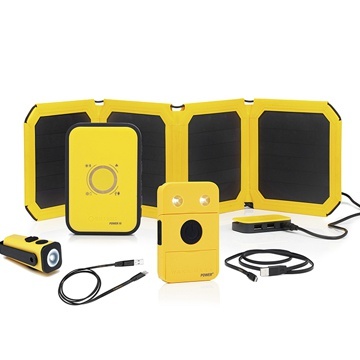 Trust the power of the sun with this kit that always gives you access to light and energy. Are you planning a trip with a chance of water or dirt? Rain or sunshine. Surfing, climbing, jumping or hiking trough the off-beaten trails. 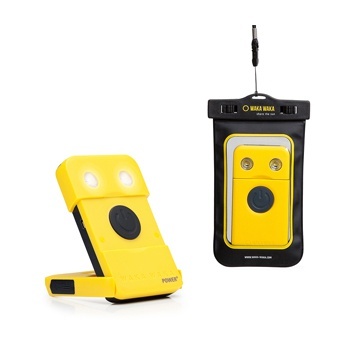 What kind of situation it is, keep your WakaWaka Solar Powerbank and Light safe with a waterproof pouch. So that you can enjoy all your adventures without any worries!